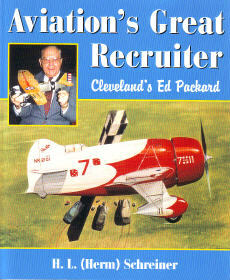 This is a heavily illustrated history of the Cleveland Model and Supply Company, which in the 1930s was a worldwide enterprise manufacturing an extensive line of balsa wood airplane kits. Includes a never-before-published illustrated plans index, copies of plans that originally accompanied kits, and a wealth of photos, including color images from the Cleveland National Air Races. 352 pgs, SB, 8.5 x 11, 200 b&w and color photos.